One of the best things about walking meditation is that you can practice it almost any time you are on your feet. It’s quite a simple meditation method...one that most people can get a grip on without too much trouble. But this meditation method does have one downside. You are probably going to be outside while you do this meditation, which means you may be subjected to varying weather conditions, and you may be disrupted by the worldly events that are taking place around you. Then again, in some ways this can be a good thing...those little disruptions can challenge you to stay focussed on your meditation and help to train you to stay mentally focussed during your daily life. Relax your face. Let any tension in your scalp or jaw dissipate. Let your shoulders relax and let your arms hang naturally. Take a few deep breaths right down into your stomach and feel all the muscles in your torso relax as you exhale. Become aware of the muscles in your legs and just visualize them becoming loose and relaxed. Before you start to walk, take a brief moment to decide how long you will practice this meditation for. Whether it’s for 5 minutes or 50 minutes is up to you, but make it your firm intention to stick with the meditation for that complete length of time. Making a simple declaration of intention like this will help motivate you to stay "on task" and resist the temptation to turn your walking meditation into just another walk. Now begin to walk at a normal pace. Don’t try to modify the way you usually walk for this meditation or you will probably feel awkward. Just walk at a relaxed, natural pace. As you walk, become aware of the movement of your legs and the feeling of your feet as they come in contact with the ground. The repetitive movement of your legs and feet is like a physical mantra, rather than a mantra that you repeat to yourself mentally. The key is to absorb yourself in this rhythmic sensation, and to let go of any thoughts if they arise. If you prefer, you can focus on the feeling of your arms swinging, or the feeling of your lungs expanding and contracting as you breathe. What is most important is that you devote your attention to one movement and that you return your attention back to that movement whenever your mind wanders off. It's OK for you to look around during this meditation. You do need to be aware of your surroundings to some degree so that you don't trip over anything along the way! Walk as you would normally walk, but devote your mind to the experience entirely. It may also help you to synchronize your thoughts or your breathing with your walking pace. For example, you can repeat a mantra mentally in time with your steps, or you may choose to count your steps as you walk. I will sometimes breathe slowly and deeply in time with my steps...breathing in for four steps...breathing out for four steps. 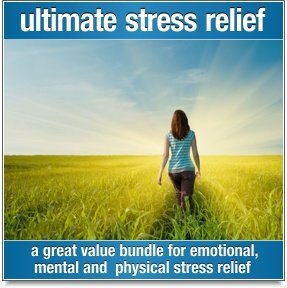 This can really help to deepen your overall sense of physical involvement in the meditation and it is extremely relaxing. It’s also very healthy indeed! If you are fortunate enough to have an mp3 player handy, you can also try walking in time with some Sonic Mantra meditation music. This type of music contains a repeating foundation of mantra-like notes that help to still your mind. 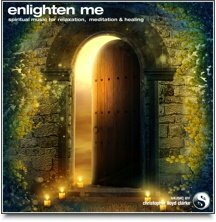 Try listening to this music while you practice walking meditation and you’ll find yourself become more and more serene...to the point where each step becomes a sheer pleasure to take. As you continue to walk, notice that your mind is beginning to slow down, and feel a sensation of peace flowing through you. You may find that your walking pace slows slightly as your overall state of mind becomes more and more tranquil. Walking meditation is one of the best meditation methods for encouraging mindfulness and it will help you to find peace of mind even when you are on the move. On your way to lunch during a break from work? Walking home from the shops? Try a walking meditation while you’re at it. 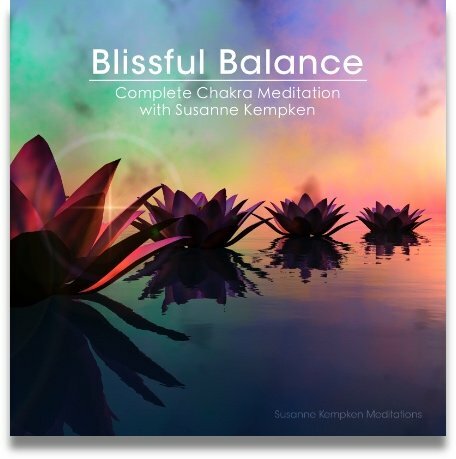 You can even do this meditation on a busy city street or in the middle of a shopping mall! Walking is a very healthy form of exercise. 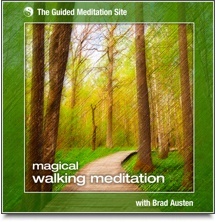 Meditating while you walk turns the whole experience into a super-healthy event for the body mind and soul. There are plenty of ways to meditate. For more free online meditation methods, please follow this link to the meditation methods page where you can explore other easy meditation techniques. If you’d like to learn more about how to meditate, you may like to view these free meditation instructions. What's YOUR favourite type of meditation? Do you have a favourite type of meditation? Or is there a type of meditation that you just can't stand? Have you ever had any special experiences while practicing a certain type of meditation, or do you have a success story to share?